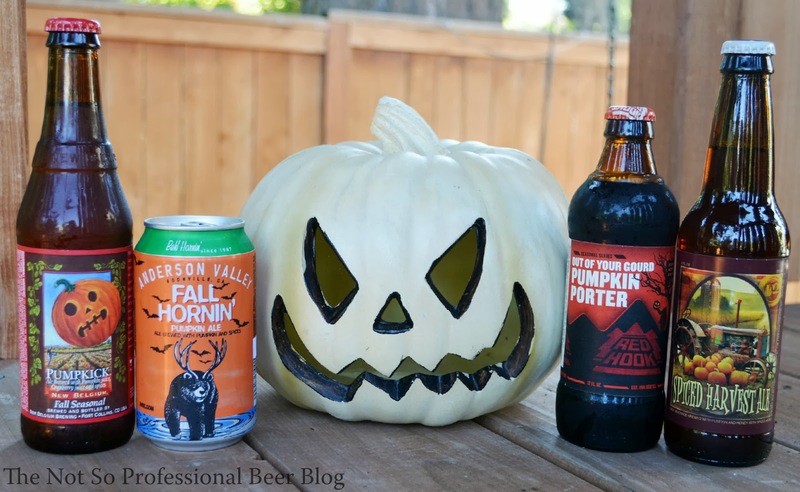 The Not So Professional Beer Blog: Pumpkin Beer, Schmumpkin Beer! I'm not really a fan of pumpkin beers, but if I do drink them I definitely want them in the middle of October/November. In Sonoma County it's in the 90's this weekend/week and pumpkin sounds terrible. I agree. Weather plays a big part of my interest in these beers. Earlier this week, it was cold and rainy, and I was craving one. Now it's 85 and sunny, and it's probably the last thing I'd drink. I started seeing pumpkin beers in August. Ye gods! No thank you. Maybe in October.